Khulna University Seat Plan: Khulna University is one of the most prominent, politics free and session jam free University of Bangladesh. Khulna University admission test exam 2015-16 was held in 11 and 12 December 2015. Interested examine will apply through online from 20th August to 19th September, 2015. Khulna University Admission Seat Plan 2015. List of eligible candidates name will publish at 15th October 2015. 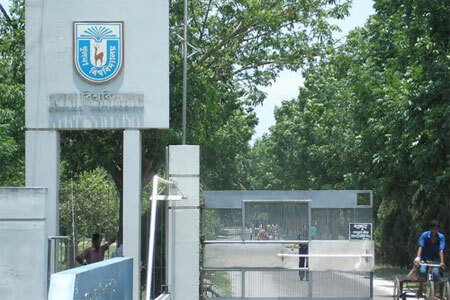 After publishing the eligible candidate list seat plan for Khulna University admission exam will be publish. Seat plan will be publish at 7th or 8th December 2015 at the University official website www.ku.ac.bd. Student can collect their seat plan information by sending SMS to 16321 from any operator. Khulna University Admission Admit Card Download. Khulna University Admit Card Download : On the Khulna University 1st year honors admission test exam eligible applicants have to be bring 2 copies of transcript/grade sheet/Marks sheet on the exam day. Candidate must be attached a passport size photo on the transcript/grade sheet/Marks sheet of each and have to write Khulna University Admission Test 2015-16 roll number and also institute name. These will be considered as candidates Khulna University Admission test 2015-16 admit card. Student must bring their admit card on the exam day. Mobile phone is not allowed is the exam hall. Khulna University Admission exam result: Khulna University admission test exam result date is not declare yet. But think it will be published 3 or 4 days after the admission exam. You found any kind of information about admission test exam, seat plan, eligible list and result on the varsity official website. You can collect your result through SMS at 16321 from any operator also. KU <space> B<space> Roll number and send it to 16321 from any mobile operator.